Last September, the Council on Tall Buildings and Urban Habitat invited me to serve as the special media correspondent for its Shanghai symposium, entitled Future Cities: Towards Sustainable Vertical Urbanism. I conducted video interviews with dozens of architects, developers, building managers, and others on topics relevant to tall building design and sustainable urbanism. Among the many designers, engineers and other tall building types I interviewed were Jos Melchers of MAB Development & OMA partner Ellen van Loon. We discussed the design of De Rotterdam, an innovative mixed-use development that won CTBUH's 2014 Best Tall Building award for Europe. https://www.youtube.com/watch?v=OygY60WSibU De Rotterdam's design resembles several skyscrapers stacked closely together, with bridges and protrusions in the facade connecting them into a single, flowing mass. 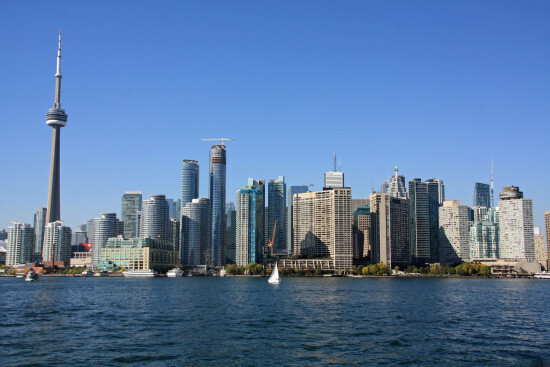 "What you do in a low-rise city, where buildings are very close to each other with different functions, is now basically translated into a high-rise building," said van Loon. "I think what is interesting for me about this building is that tenants see each other on different heights... so not only the physical connections, but the view connections create a community in that building." Van Loon said it was a challenge to temper the community-building aspect of the building's connections with their potential to create confusion in the program or an overwhelming presence on the skyline. 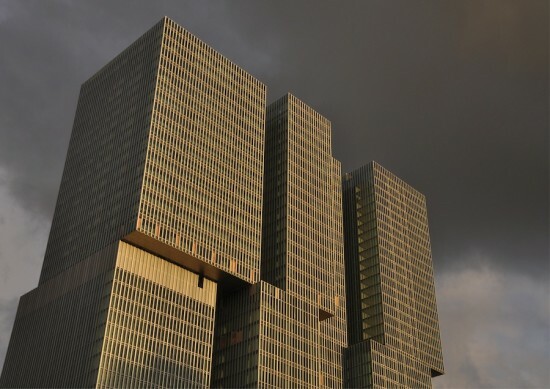 The result was the largest building in the Netherlands, but one that developer Jos Melchers said still respects the site. Getting tenants on board was another challenge at first, he said, but now the unusual layout is "becoming part of the city." "You feel that you can make a really mixed-use, multifunctional building," Melchers said. "The tenant has to believe in the concept of a vertical city. Of course tenants want to have their own block, their own building." In September, The Council on Tall Buildings and Urban Habitat invited me to serve as the special media correspondent for their Shanghai symposium, entitled “Future Cities: Towards Sustainable Vertical Urbanism.” I conducted video interviews with dozens of architects, developers, building managers and others on topics relevant to tall building design and sustainable urbanism. The first supercut of those interviews is available here, in which six people answer the question, “How can cities adapt the forms of tall building design to avoid homogeneous skylines?” The respondents are: Mounib Hammoud, Jeddah Economic Company; Zhaohui Jia, Greenland Group; Peter Kok, Shum Yip Land; Stefan Krummeck, TFP Farrells; James Robinson, Hongkong Land; and Junjie Zhang, ECADI. 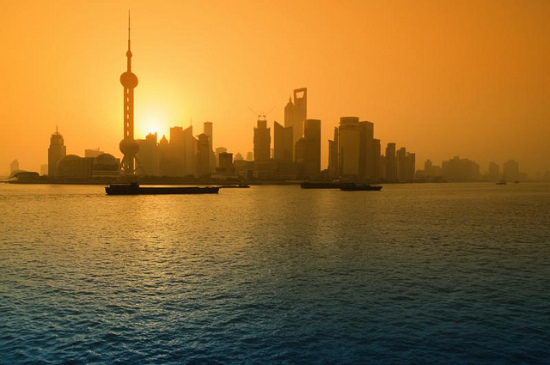 Read more about the conference here and at CTBUH's website. 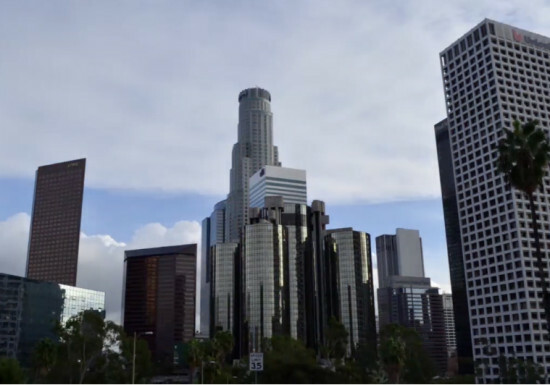 This Friday hundreds of filmmakers, non-profits, and citizens will take place in One Day In LA, a "media creation event" compiling videos that investigate the future of the city. The resulting shoots, which are being collected on onedayla.org, will be shared in an interactive archive and (in edited form) on a television series on public TV about the future of the American city. Questions that the organizers encourage video makers to investigate include: What do you love about your city? What is the best thing happening in your city today? And what are your city’s biggest challenges? They want the broadest participation possible. "This is definitely open to everyone," said Rory Mitchell, a producer for onedayla. "You don't have to be a filmmaker. If you want to point your camera or even your iPhone camera and explore Los Angeles you should do it." Mitchell added: "It's going to be kind of an amazing time capsule. People who have never been to these places will hear stories from places they've never been to. There's an incredible amount of talent. Hundreds and hundreds and thousands of filmmakers running around shooting stuff." Ten other cities are hosting filming on the same day as part of yourdayyourcity.org, including Atlanta, Boston, Denver, Detroit, The Lower Rio Grande Valley, New Orleans, New York, San Diego, San Francisco, and The Twin Cities. If you're interested sign up here. "We see this as being expandable to other cities across the world to spark a conversation about what people want for the future of their cities," said Mitchell. Following it's opening in 2009, urban planners all over the world have been keen on acquiring their own versions of New York's much-lauded High Line. 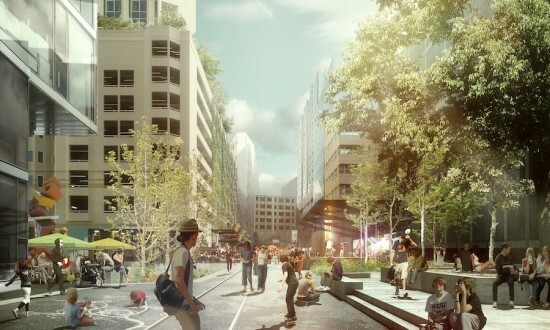 Sydney is the latest city to enter the fray, selecting a 500-meter stretch of abandoned railway as a foundation for the Goods Line, an urban park and public space, replete with bike paths, study pods and outdoor workspaces catering to local students. The construction is a two stage process. Work on the Northern phase will commence this month and connect the Powerhouse Museum to Frank Gehry's confusingly named and fairly unpleasant addition to the UTS campus, the Chau Chak Wing Building. The second portion will reshape an existing pedestrian walkway and is set to begin following the projected November 2014 completion date of Goods Line North. The project arrives with a promotional video, offering a sleek fly-through of the space as the requisite techno soundtrack pulsates gently in the background. The Sydney Harbour Foreshore Authority is leading the initiative, working to realize a design by ASPECT Studios and Choi Ropiha Fighera(CHROFI). A feasibility study regarding potential further extension is currently underway as the team mulls the possibility of continuing the Goods Line into other portions of Sydney's Cultural Ribbon. A video illustrating the general concept behind the elevated park. 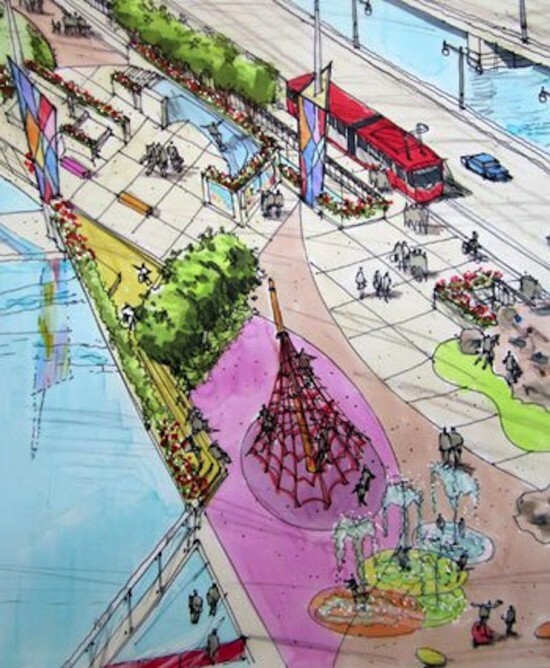 (Courtesy The 11th Street Bridge Park Design Competition) Washington D.C. is using the rebuilding of a local bridge as an opportunity to create a new 900-foot elevated park across the Anacostia River. 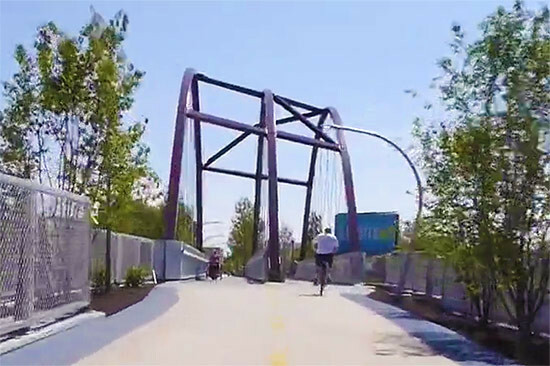 Building Bridges Across the River at THEARC and the D.C. Office of Planning are hosting a competition for the design of this developing project. Participants are invited to think of the initiative as a blank slate sitting upon the extant structural piers, the only holdovers from the old bridge that will be preserved. A community design charette held on December 7, 2013 to discuss the park. (Courtesy The 11th Street Bridge Park Design Competition) Organizers have laid out four goals for the new design: "connect two diverse communities, re-engage residents with the Anacostia River, improve public health, and become an anchor for economic development.” The communities in question are the historic districts of Anacostia and Capital Hill. Efforts have been made to incorporate local opinions into the park's design. Over 200 meetings have been conducted with public figures and residents in the surrounding area. An environmental education center, a performance area, urban agricultural facilities, a cafe, and kayak and canoe launches are some of the suggestions that have emerged from these consultations. University of Washington public health scholar Dr. Howard Frumkin, Carol Mayer Reed of landscape firm Mayer/Reed, and Howard G. Robinson III, Professor of Urban Design and Dean Emeritus at Howard University will be members of the jury deciding upon the winning design this coming fall. Backers are expecting the park to cost in the range of $25 million, $500,000 of which has been raised already. 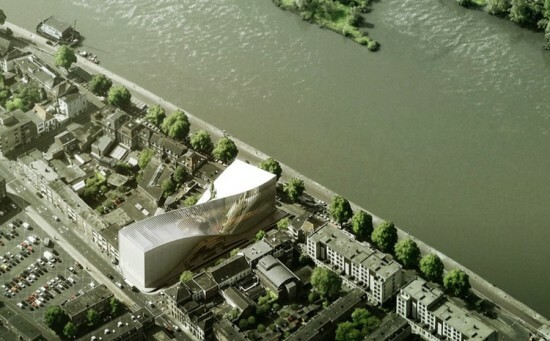 Arnhem, Netherlands is in the midst of commissioning designs for ArtA, a new cultural center planned for the city. Proposals from an impressive list of four international firms are being considered for the space, which is to house the Museum Arnhem and the Focus Film Theater. Beyond accommodating both exhibition and theater programming, the structure is also meant to act as a link between the city and the waterfront of the adjacent Rhine River. SO-IL, NL architects, Bjarke Ingles Group (BIG), and Kengo Kuma are the four studios shortlisted for the project. SO-IL presented a modular design composed of five units of varying size. A central staircase leads visitors deep into the interior of the structure, while each unit is strategically pierced by large openings that provide views of the river and the surrounding city. In keeping with the two pronged program of the center, BIG elected to place a black box and a white box at either pole of their proposal. These archetypes of museum and theater architecture are fused by a twisted volume and diagonal arts plaza. The torqued form creates new types of semi-protected public spaces in the plaza designated to host the center. Both NL Architects and Kengo Kuma arrive to the competition armed with stepped structures. Kengo Kuma offer a series of offset stacked glass rectangles partially clad in red clay tile, an arrangement that also generates a number of rooftop terraces. The Rhine is metaphorically invited into the site in the form of cascading reflecting pools. NL Architects envisions a more uniformly staggered facade in the form of a large staircase-shaped structure growing in size and stature as it approaches the waterfront. These, too, are coupled with rooftop green space and a sculpture garden, while the steps rest upon an expansive and largely open multifunctional art square. Take a moment from celebrating the first American curling victory of this Olympics to observe Asif Khan's Megaface in action. Previewed in the lead up to the Games, the wall is now installed and has been projecting the faces of visitors to Sochi on the side of the Megafon pavilion for the past week. The realized version is found lacking in the thin drape rendered in preliminary iterations of the structure. Instead hundreds of spherical bulbs are left exposed as they protrude and recede to form the faces of those willing to lend their likeness to the installation. While the initial plan had been to replicate the skin tone of spectators, the effect was abandoned in favor of a monochromatic palette, after its realism was deemed "really scary." Those who visit special photobooths peppered throughout the Olympic campus are given a special code that alerts them to when they will have the chance to come face to face with their 20-foot-tall visage. Russia's Mount Rushmore will close on February 23rd with the ending of the Olympic games. 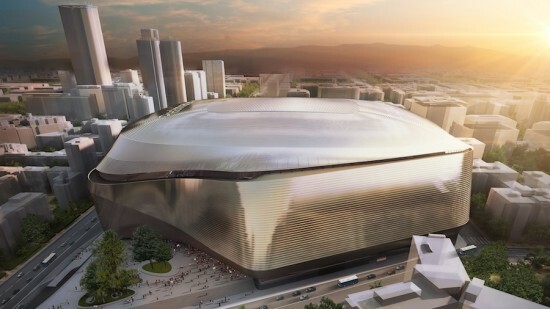 Spanish soccer franchise Real Madrid has revealed plans for a drastic reshaping of its iconic Santiago Bernabeau stadium. The plan entails sheathing the existing structure in a curvaceous titanium facade that will also add a hotel, a shopping and leisure center, and an underground car park. The new skin also adds a retractable roof to the stadium. German firm GMP Architekten will be heading the project joined by locals L35 Architects and, in a crossing of party-lines, Barcelona-based Ribas & Ribas. The lines of the exterior are meant to respond to shifting sunlight patterns by day and play host to LED light displays by night. One amorphous face will act as a screen for large-scale media projections. The innermost portion of the new roof will be translucent, allowing natural light to filter onto the playing surface and past the 360° screen that hangs directly beneath The included hotel is set to feature rooms offering direct views of the pitch. L35 managing partner Tristán López-Chicheri claims that the club's history of recruiting costly star players acted as an inspiration for the new design: "the idea of excellence was another strong inspiration. The ‘galactic heroes’ of real madrid made us think of a polished gemstone, a magic skin with a changing light and color hues that actually protects a treasure." The assignment necessitates that construction not interfere with play, and despite its relatively high-tech qualities and irregular forms, large sections of the new structure can be shop-assembled offsite. GMP Architekten have extensive experience with projects of this nature, having already designed three stadiums for the 2010 World Cup in South Africa and two structures for this summer's Brazilian iteration of the tournament. A completion date has been tentatively set for 2017 with a $537 million price tag slapped on the project. How a club supposedly saddled with almost $800 million in debt can afford such an expense is unclear, though their current financial straits have done little to curb the recruitment of evermore expensive galactic heroes (galacticos) that might serve as future inspiration for another multimillion dollar renovation. In the spirit of competition, Madrid's presentation comes in the wake of Barcelona's announcement for costly, though more stylistically modest, updates to their own stadium, a Nou-er Camp, if you will. Grimshaw has released a video in which firm partner Mark Middleton along with several members of the project team take viewers to the construction site of Pulkovo Airport in St. Petersburg, Russia. Appearing in and around the cavernous terminal, which will one day service 17 million passengers per year, the architects break down the cultural and geographic inspirations behind the design (golden onion domes, the city's islands and rivers) as well as its environmental and structural considerations (low-angle sunlight, expressive steel vaulting). The result is as clear and concise a description of the motivations and preoccupations of contemporary international architecture as can be found anywhere.